There’s something we as children have always been fascinated with and wanted to do. We’ve all taken a fancy to that cool gizmo in the shopkeeper’s hand that he held behind each product you bought that emitted a red laser and made that noise. A barcode scanner, yes! Lucky for you, the Android app world is blessed with a variety of amazing barcode and QR code-scanning tools that utilize your smartphone camera to give you any detail you need regarding the product you are interested in without bringing it to the cash counter for inquiries. Here are two such high-utility shopping apps that bring that very phenomenon to your phone with a lot more features packed into it. 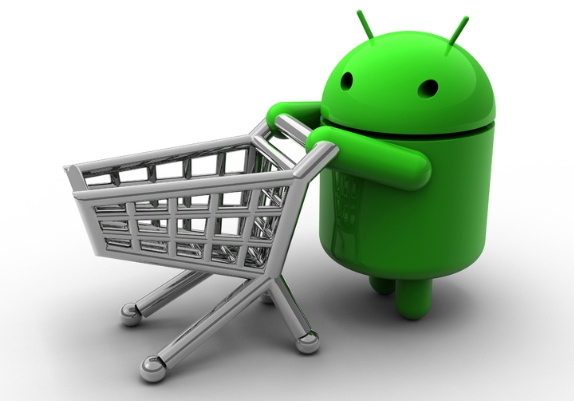 One of the great features of holding your Android device is that it can be used for a multitude of activities. 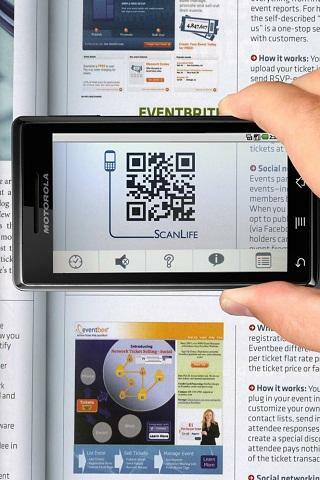 In this case, ScanLife transforms your smartphone into a barcode scanner with the help of your device’s inbuilt camera. ScanLife works on the simple logic of holding your phone camera in front of the bar code tag on a product and it gives you every relevant detail you are looking for. Best results mean going online and checking what the average price of the product is in the market to ensure that you are getting the best deal. 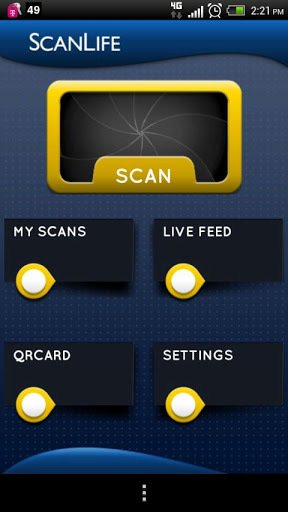 Using ScanLife, you can scan any 2D barcode including QR Code, Datamatrix and EZcode that you find on groceries, tech products, food items, clothes and almost anything under the sun you can go shop for. Scan regular UPC/EAN barcodes off products, like DVDs and books to see a variety of information on it other than just its price. You can then also buy these products online with just a few clicks. ScanLife gives you prices from over 30 different online retailers including Amazon, Home Depot, Macy’s, Best Buy etc. You have access to all the local prices and to see if it is available near you. It gives you nutritional information & ingredients too. You can also create your own QR code and share your contact details as well. You can share what you have scanned on Facebook and Twitter so others can take advantage of the interesting shopping deals and bargains that you were able to bag. 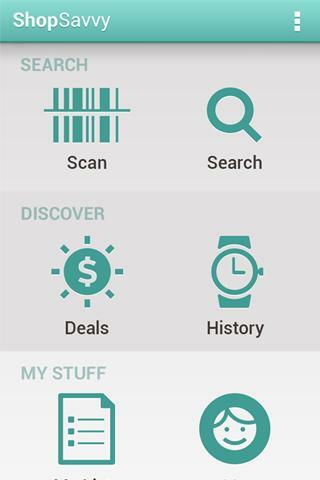 ShopSavvy Barcode Scanner is an Android app that functions exactly like a top-notch barcode scanner. It consists of the simple functionality of looking up prices online when scanned using the camera of your Android device. It gives a slight beep sound too at the end that gives you the complete feel of the barcode scanner. In addition it gives many more features that an average bar code reader cannot possibly provide. Deals – Get the best deals in your area with promos, coupon codes weekend sales, rebates and a lot more. You also get Groupons and special offers with new feature. Shop locally – you get local retailers and locations and directions with phone numbers too. You can prices that have come up with local retailer prices as well. The availability of a product is represented by a blue dot next to the store. Prices – This gives you prices of almost every major retailer and prices across the world as well. If you find a price discrepancy you can also help fix it. Buy online – You can directly buy items from the merchant’s e-commerce site without any hassles with a refund guarantee. You could also use key words too by typing it into the title search bar on your app homescreen. It supports multi currencies like EUR, GBP, USD etc. and the community powered feature helps you to add information that isn’t available too. All in all, these two great apps will treat you to the best shopping deals in the market and ensure you’re never cheated by a shopkeeper by turning you into an informed consumer. These apps have already earned widespread acclaim and are currently used millions of people in the Android community. Join these sacred shopaholic clans as soon as you can and make your shopping experience better than ever by downloading them from Google Play Store right away.